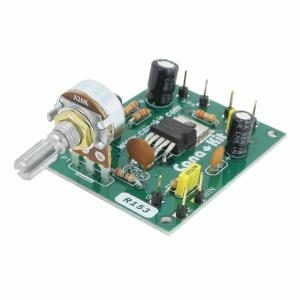 This 4 Channel Auto Roll RF Relay Board Assembled includes resets on the board so you can use a switch to reset the relay when using toggle mode. This is handy for applications like a garage door where you would want the motor to stop when the door is closed or open all the way. 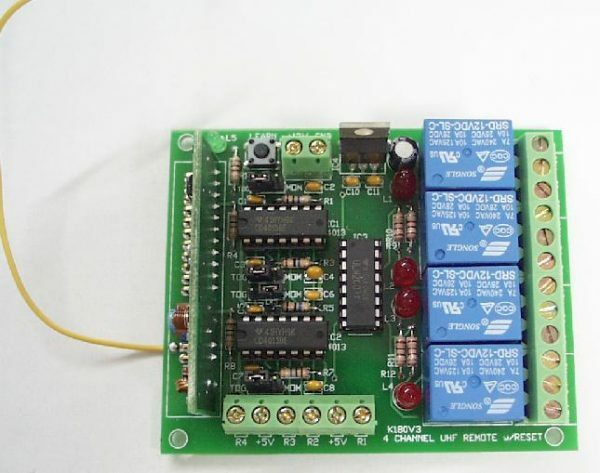 This 4 channel remote control relay board is available as a soldering kit. The relay board uses “Rolling Code” so it is nearly impossible to crack. 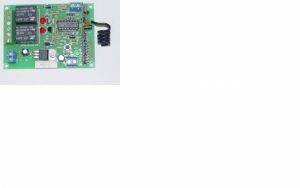 Features pre assembled and aligned RF modules, pre assembled key-chain transmitter that only requires you to solder battery clips and case. Receiver requires component mounting & soldering. Receiver can “learn” up to 16 transmitters. Transmitters can be used with multiple receivers. 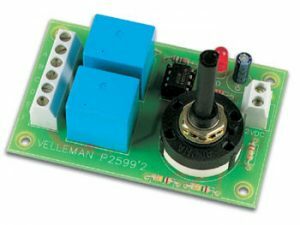 4 channel output with Single Pole Double Throw (SPDT) relays rated 10A @ 28VDC. Each output can independently be made latching (Push-on/Push-off) or momentary. Range exceeds 50meters. 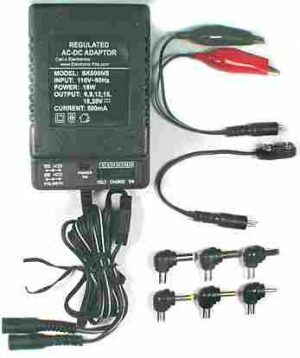 Transmitter uses 12V cell (included). Ideal for higher security garage doors, auto gates, electric locks etc. Range is over 50 Meters (~150 feet). Circuit draws 8mA in idle state, 1 relay energized 44mA, 2 relays 78mA, 3 relays 111mA, and 4 relays 144mA. Each Individual Relay is jumper selectable latching or momentary. 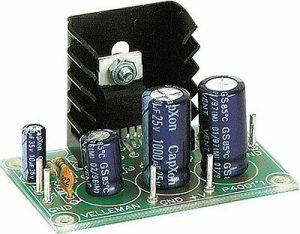 Relay Contact Ratings: 240VAC 7Amps, 125VAC 10Amps, 28VDC 10Amps. Has 4 resets for each relay.